When Jesus came down to earth to save us from our sins, He came down in the image of a servant. To the average man, he was an equal, not the Son of God. He was ridiculed, persecuted and eventually murdered; however, His perspective and unwavering faith in the face of difficulty allowed Him to complete the task at hand. The reward for His obedience was to be elevated above all things and to regain His rightful place with the Father. Right perspective is key to spiritual growth, deliverance and healing. When we look at things through the lens of faith, that is when God can work out the kinks in our lives. Faith in trials increases our strength to endure, and when it’s all said and done, we too will be restored and made stronger than ever before. On the other side of brokenness is power. There will come a day when God will elevate us above the things that try to cripple us now and we will eventually receive our crown in Heaven. First, we must go through a period of brokenness and healing before God can bless and use us for His glorious purpose. It is imperative to learn to trust the process, no matter how discouraging it can be. 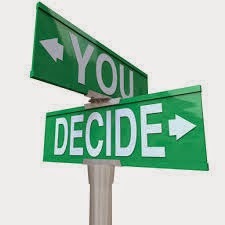 Make a decision today. Will you choose to let your circumstances cripple you or will you use this opportunity to draw closer to God, who is the source of all your strength?? Excellent. Thanks so much for sharing. Thank you for stopping by the blog and taking your time to comment!